A Cliftonville community group has launched a fundraiser to pay for repairs to the Newgate Gap Sea Shelter. The group was created following a successful campaign – Save the Newgate Gap Shelter – led by resident and mum-of-two Amelia Gregory, with support from Sam Causer of Margate Coastal Park and members of A Better Cliftonville (ABC), to overturn a Thanet council plan to demolish the shelter’s roof. Thanet council withdrew the demolition application following a number of objections. The Edwardian, Ethelbert Crescent shelter is one of several constructed in the early 1900s along the isle’s coastline. The group now hopes to restore the shelter. 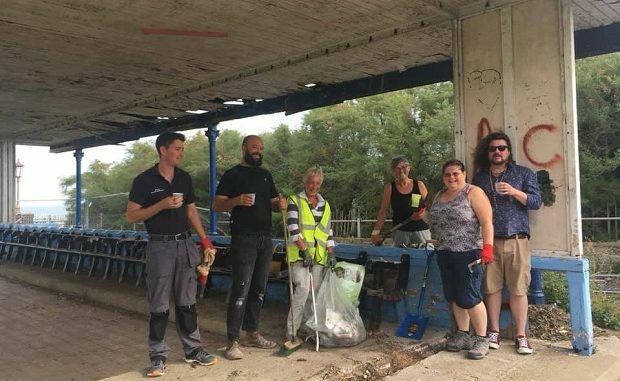 Amelia said: “We are a group of local resident volunteers who are passionate about improving the unique heritage of the Cliftonville coastline area, for the benefit of local residents and visitors alike. The group wll be in the token scheme throughout December.